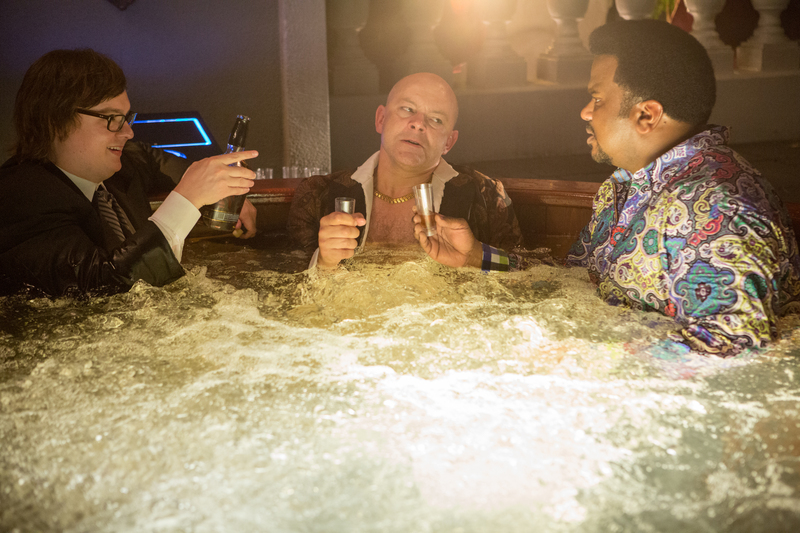 “Hot Tub Time Machine 2” opens Friday at Point, Eastgate and Star Cinema. R, 1:33, one and a half stars out of four. I loved the first “Hot Tub Time Machine.” I gave it a four-star review, seriously, calling it “stupid but brilliant.” I still stand by that. But if I could, I would travel back in time and tell my 2010 movie-reviewing self to dial that review down a couple of notches. Just in case it somehow encouraged the making of this lame sequel five years later. John Cusack went wisely AWOL from this second film, and he’s sorely missed here; he was a terrific straight man for the other three time travelers to bounce off of. Instead, we’re just left with three pretty one-dimensional supporting characters now asked to play lead. 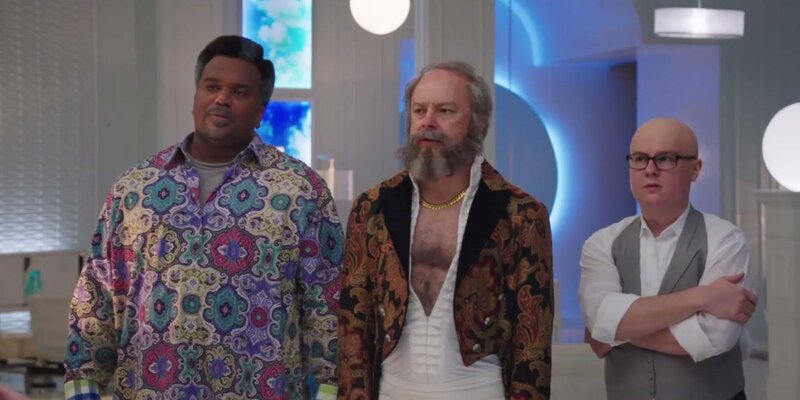 Consummate jerk Lou (Rob Corddry) has used his time-traveling knowledge to make a fortune by inventions like “Lougle,” while musician Craig (Craig Robinson) has a string of hits by just pretending that he thought of “Let’s Get It Started” or “Total Eclipse of the Heart” first. Lou’s son Jacob (Clark Duke) is still chafing under his dad’s arrogant rule. When someone shotguns Lou in the you-know-where the trio jump back in the old hot tub to try and prevent the murder before it happens. But instead of going backwards, the hot tub takes them forward to 2015, apparently because the killer is from the future. 2025, it turns out, looks an awful lot like 2015, especially since the movie was shot in the French Quarter of New Orleans for some reason. Aside from a couple of mildly amusing examples of future shock — manskirts, smart cars that can assassinate rude pedestrians, and an R-rated game show called “Choozy Doozy” hosted by Christian slater — writer Josh Heald and director Steve Pink do almost nothing with the future setting. Instead, the trio are left to ad-lib endlessly and shuffle from one gross-out gag to the other. All the stuff in the trailer where the guys go to the Revolutionary War or become the Beatles is just jokes from the closing credits, which is kind of a cheap bait-and-switch. Adam Scott appears as Cusack’s son Adam, but he’s rarely allowed to be funny, straitjacketed into the role of a goody-two-shoes who gets corrupted by Lou & Co.
There’s some funny lines here and there, most of them seemingly ad-libbed by the actors, but there are other scenes where the movie just dies. I suppose it’s appropriate that ‘Hot Tub Time Machine 2″ at times is able to bend the laws of time itself, making 90 minutes seem like an eternity.